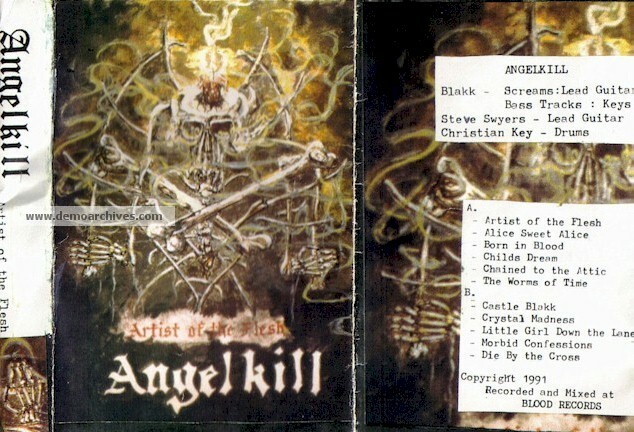 In the year of 1988 Angelkill was born to the underground after singer/guitarist Blakk who was disgusted with the local band scene of the time decided to create his own one man band. 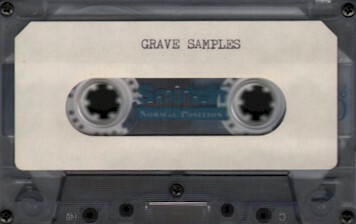 For the first few years Blakk recruited local drummers to help record the first few roughly produced demo tapes. It wasn't until the summer of 1992 when Blakk was finally able to construct the first full band line up consisting of long time friend Steve Swyers along with guitarist friend and neighbor Mike Kore. Soon came underground friend and percussionist extraordinaire Brett Fugate. He brought with him the odd but extremely talented bassist Norm Sales. 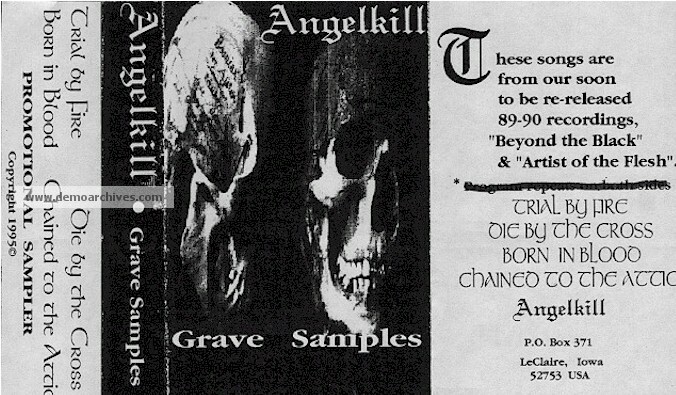 In 1993 Angelkill released the first full length album Garden of Crosses.